West Coast Cookbook & Speakeasy is Now Open! 8am-9am PT/ 11am-Noon ET for our especially special Daily Specials; Tarrytown Chowder Tuesdays! Starting off in the Bistro Cafe, the White House plays clean up on Trump’s white nationalism comments. On the rest of the menu, Congress will probe Trump's refusal to fight white supremacist terror; the Trump team wants to screw over college students who depend on work study; and, Deutsche Bank went into ‘damage-control mode’ after Trump won the ... See More 2016 election as it feared the coming scrutiny. After the break, we move to the Chef’s Table where a group of Cuban migrants kidnapped at Mexico’s northern border have been released, as officials continued probing the disappearances of other migrants in the region; and, the Trump administration’s move to end five-year visitor visas for Cubans means it will be even harder for the island’s residents to see their relatives, shop, or undertake cultural and academic exchanges in the United States. 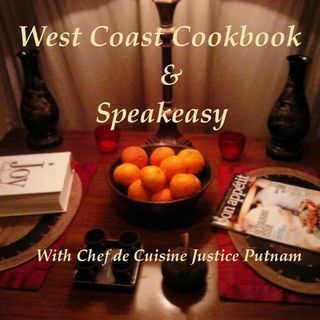 All that and more, on West Coast Cookbook & Speakeasy with Chef de Cuisine Justice Putnam. Show Notes & Links: https://www.dailykos.com/stories/2019/3/19/1843222/-West-Coast-Cookbook-amp-Speakeasy-Daily-Special-Tarrytown-Chowder-Tuesdays?